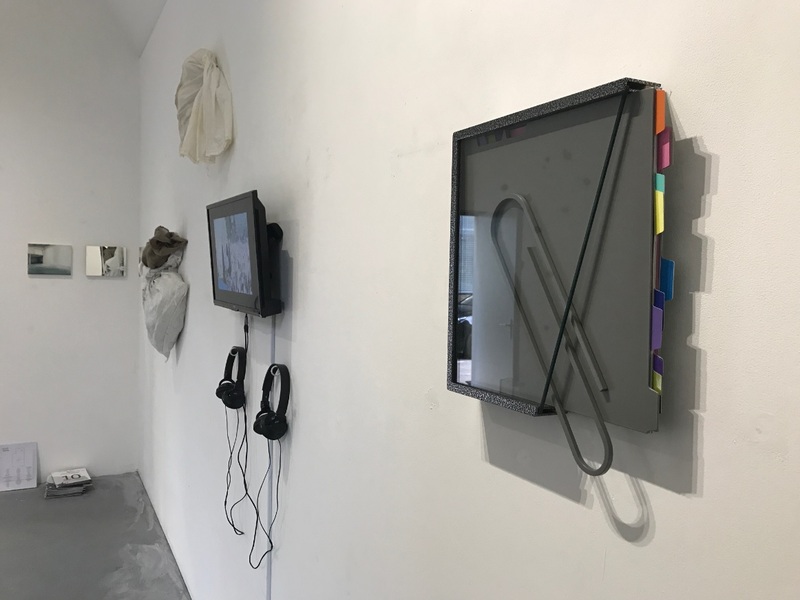 MFA Fine Art graduate Andrea Coltman has curated, and is exhibiting her work in, an exhibition entitled ‘RSVP’, alongside several other Wimbledon graduates. The exhibition was first shown at no format Gallery in Deptford in October, and has now moved to the charity Streets of Growth’s headquarters on Marsh Wall. As part of the exhibition, Andrea has organised an art fundraiser for Streets of Growth, an organisation that undertakes street outreach and intervention work to disrupt the cycle of gangs, criminality, violence and hopelessness, and ensure young adults are able to thrive, socially and economically. We spoke to Andrea about the work she’s exhibiting in the show, the Streets of Growth fundraising effort and what else she’s been working on since graduating from her MFA. How did the exhibition ‘RSVP’ come about? The exhibition RSVP came about following the 2017 edition of CWND Residency. This is an annual residency that I have been facilitating and running since 2016. It is the development, culmination and realisation of 12 months’ work by artists who have been residents, plus two guest artists. The first is Samuel L. Herbert, who has been a visiting artist to the project for three consecutive years, and Ian Monroe whose work reflects some of the concerns and languages that have transpired within the residency. 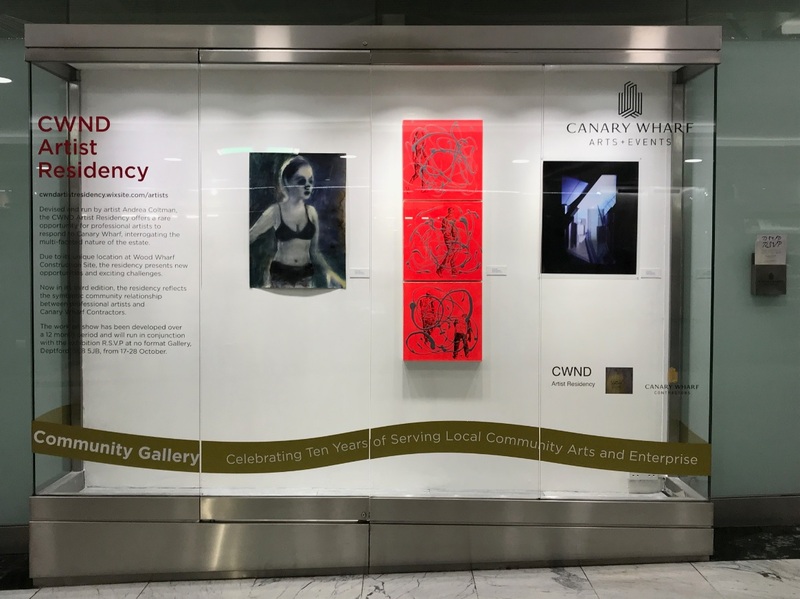 We secured an exhibition in no format Gallery in Deptford for two weeks in mid-October, and were subsequently invited to show work in the Community Gallery Window in Canary Wharf Shopping Mall for a month. Where does the name come from and is it reflected in the works chosen? The title from French phrase, widely used but often abbreviated to RSVP – ‘Respondez Sil Vous Plait.’ Literally translated this means ‘respond please’. Essentially, this reflects the only criteria that the residency sets as a requirement, which is that their work must respond directly to Canary Wharf Estate. The one thing that I discourage is for artists to totally change their practice but to delve deep into finding a way of expressing their practice by way of a response. The residency is more about resource and research gathering and not about having a definitive end goal at the end of the residency. I feel that all the works also come from a strong ideal that resonates with most artists; working with limited resources. This is a strong thematic that runs through the residency. None of the works in the show are opulent or manufactured, and they are all made by the artists’ hand. Can you talk about the work you and the other artists are exhibiting in the show? The work, developed over a 12-month period, reflects a wide range of different practices from the 12 artists exhibiting work. There are interweaving themes and concerns that glue and underpin the exhibition. The diversity of the work with their visual, artistic concerns and dialogues is, to me the most exciting part. We have work from international, established and recently graduated artists. Works range from painting, sculpture, video, sound and participatory pieces. The themes range, and not exclusively, from gentrification, non-place, interstice, neo-liberalism, connection, disconnections, anti-establishment to site-specific and materiality. My own practice deals with concerns around psychogeography, how places and space can create an emotional response. It also deals with the idea of between places and spaces, the interstice and non-place, places of no particular description. The exhibition includes many artists who studied at or are somehow involved with Wimbledon College of Arts – can you talk about how they became involved in the exhibition also? 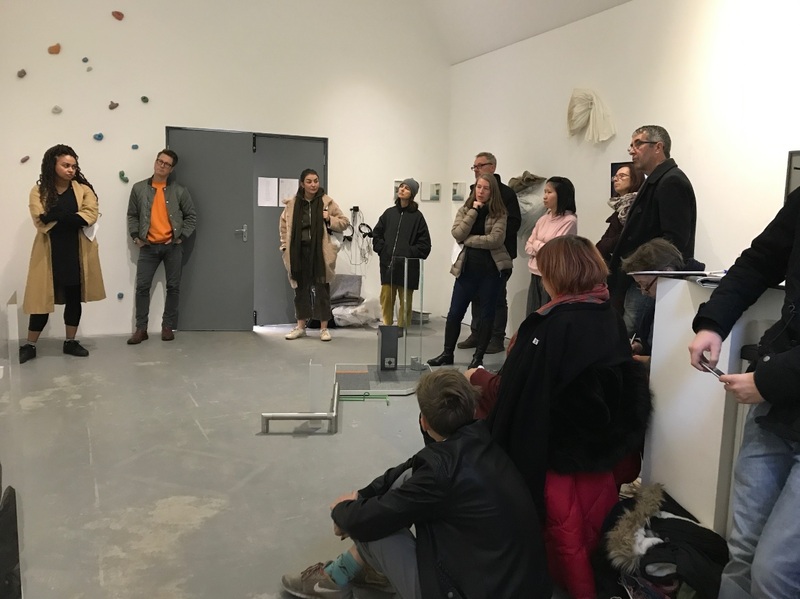 Essentially all the artists have been connected either directly as residents at CWND or, in the case of the two guest artists, have been invited as visiting artists. 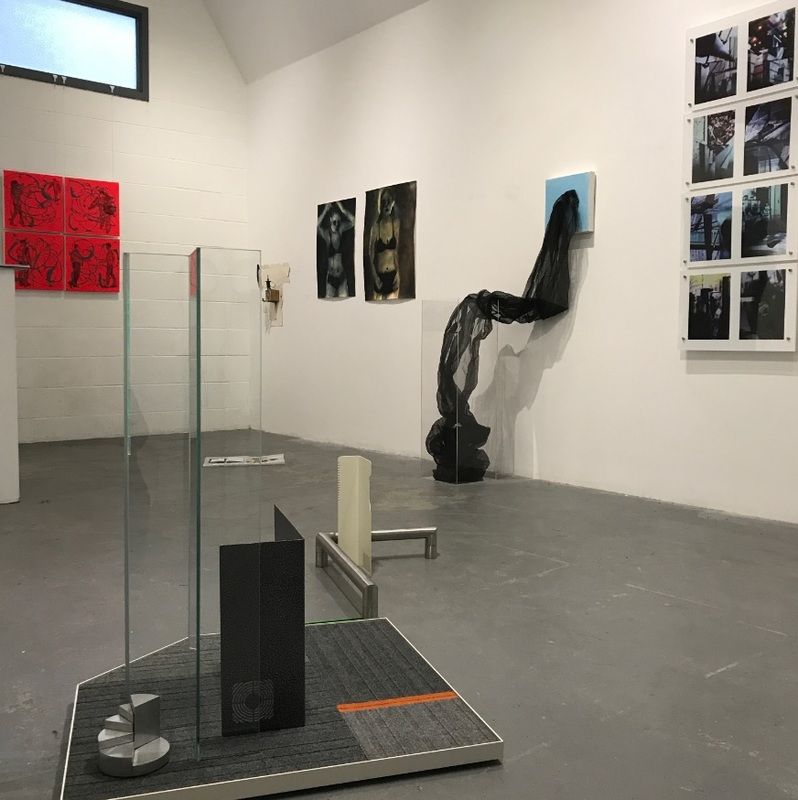 The artists who have been involved in the residency, and subsequently the exhibition, are not all from Wimbledon, but many have been graduates or connected through the UAL base, some as undergraduates, and one as an Associate Lecturer. The residency has also attracted national and international artists. There are also those that are not trained in fine or visual art but artists in jewellery, photography, performing arts and architecture. Can you talk about the art fundraiser and why you have chosen to support Streets of Growth? As part way of saying thank you to Canary Wharf Contractors who have sponsored us by giving us space, time and lots of help in and around the construction site where the residency is held, my main contact there, Nick Bradley, is very supportive of charities. So, I approached him for suggestions. Canary Wharf are really clear about their community values and I felt it would be really important be able to connect with and support one of the local charities. I was introduced and subsequently struck up a conversation with the founder of Streets of Growth, Darren Way. Darren and his CEO Diane Peters came to the opening of the RSVP show at no format Gallery in Deptford and were so impressed with the show that they invited us to relocate and reinstall it at their headquarters until 14 December. The Art Fundraiser event we are holding on 7 December felt like an intuitive next step to help us support Streets of Growth as they have been so generous by giving us a chance to continue the show for such a lengthy period. We have been given a large area to set out the RSVP show with additional wall space to display a large number of small, unframed 2D works. I have asked artists to submit a 20 x 20 cm 2-dimensional work that will be sold for £50, with all profits going to Streets of Growth. I have already started to receive very generous donations from many artists including some very well-known names. The £50 price tag will hopefully mean that not only will the buyers be getting very good value and affordable art, but also that we can raise a significant amount of money for Streets of Growth. I really liked the close-knit community that Wimbledon embraces. I have made some really good friends and professional contacts, not just through the MFA, but through other courses as well. I have also been able to meet other artists from different colleges through the wider UAL network. It has made a significant and very positive difference to me in the long term. To say that I have hardly stopped would be no way of a lie! I have been incredibly busy being an artist, curator and facilitator. I have facilitated two residencies and curated a few shows. I have also now moved to the fabulous Koppel Hive Studios at Holborn Viaduct where there is a really vibrant, creative buzz. I have also been involved in a large number of shows and residencies where I could just concentrate on my own practice. In addition, I have been involved in a documentary about British women artists which is still in the production stage. Do you have any other upcoming projects you’d like to talk about? In terms of my own art practice I have a significant number of ideas that I would like to start extending upon. I already have some shows that I will be involved in going into 2019 which is really exciting. I have a collaborative show that I am organising with the CWND Residency artists, from the 2018 edition, next June. This will take place within Canary Wharf Estate at the Idea Store. Hopefully we can also do a group show later in the year, too. I am hoping to continue building the CWND Artist Residency as it has not only been the first artist residency on a Canary Wharf construction site, it has now become the first annual residency on Canary Wharf. I have established some really good contacts and support there as well as with the artists previously involved in the project. I still have lots of ideas but would love to have more people involved in helping me run this. So, if there’s anyone out there with a passion for supporting other artists and is interested in becoming involved, please get in touch! If you are interested in donating a work to the RSVP fundraiser for Streets of Growth, you can learn how to donate here (deadline 30 November 2018). Find out more about the RSVP exhibition, including a full list of dates and times, visit the CWND Artist Residency website.